I'm running to catch up on challenges already. My new years resolutions is to not fall behind in posting them. I hope you all had a wonderful holidays season and wish you all the best in 2016. 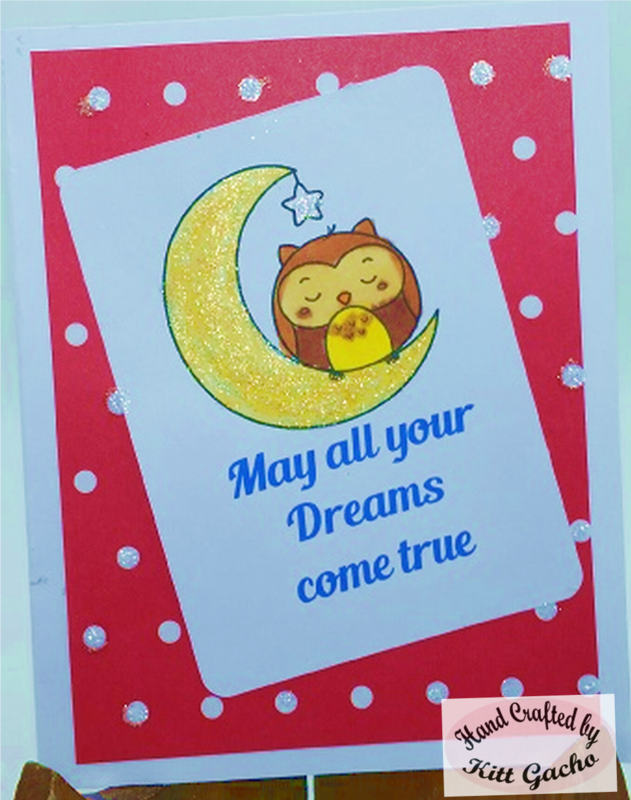 The card I have for today is for the challenge over at Pins DT. Be sure to stop by and see what the talented DT has for your inspiration. The image is from Kitty Bee. 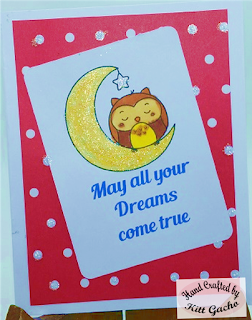 This little sleepy owl is wishing your dreams come true in 2016. I used Stickles diamonds to add bling to the moon. I used Spectrum Noir markers to color the image. Thanks for stopping by today and leaving your comments I love hearing from you. Have a happy crafty day.